coming Sept. 13 at Bohemian Caverns. The spotlight is on a tribute to Nancy Wilson with Lavenia Nesmith at Westminster Presbyterian Church tonight, Friday Aug. 28, and bass man Cheyney Thomas is at Twins Jazz to help highlight the final weekend of August jazz, with Tomeka Reid at Bohemian Caverns and Pete Muldoon at the DC Jazz Jam on tap Sunday. Nesmith is to perform with Wayne Wilentz, piano, Paul Carr, sax, James King, bass and Harold Summey, drums at Westminster. Tomorrow at Westminster the “Thinking About Jazz” program features retired Howard University professor Dr. Donald Roe talking about Nancy Wilson life and career as one of our greatest vocalist. Thomas is to perform at Twins tonight and tomorrow night. 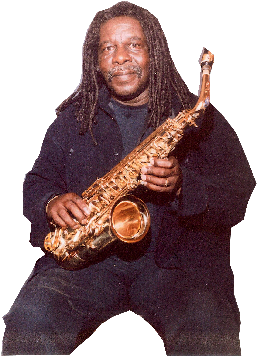 Muldoon, still garnering acclaim for his CD, “The Score,” headlines the DC Jazz Jam from 6 to 9 pm Sunday at The Brixton on U Street. Tomeka Reid is featured at the Transparent Productions 2015-16 season opening show Sunday night at Bohemian Caverns. Says Bobby Hill of Transparent Productions, “… Reid is a Washington, DC born and raised, Chicago-based cellist, composer and educator. [She] has been described as “a remarkably versatile player,” equally adept in classical and jazz contexts and is often found in experimental and improvisatory settings, composing for a wide range of instrumentation, from big band to chamber ensemble [Reid] is an integral part of vocalist Dee Alexander’s Evolution Ensemble, flautist Nicole Mitchell’s Black Earth Ensemble/Strings, drummer Mike Reed’s Loose Assembly, as well as the AACM’s Great Black Music Ensemble, and also co-leads the internationally recognized string trio, Hear in Now.” At the Caverns Reid is to play with guitarist Mary Halvorson, drummer Tomas Fujiwara and bassist Jason Roebke. Coming up in the Transparent Productions series in September are: Bill Cole and his New Untempered Ensemble Sept. 13, Evan Parker & Ned Rothenberg Dup Sept. 26 at Union Arts and The Thing Sept. 27 at the Caverns. Shows later this fall include Matt Lucian & Matt Maneri Oct. 11; Stephan Crump and Mary Halvorson Nov. 8; The Mark Taylor Group Nov. 29 and Grass Roots Dec. 5. Other September highlights include EC3 and Friends Sept. 8 at Blues Alley; Bobby Muncy Sept. 9 at Twins Jazz; Jason Moran’s Skateboarding Music and Media show Sept. 11 at the Kennedy Center; Veronneau Sept. 12-13 at Twins jazz; Clifton Anderson, Sept. 16 at Blues Alley; the Congressional Black Caucus Foundation Jazz Forum and Concert Sept. 17 at the Washington Convention Center; Christian Scott Sept. 18-19 at Bohemian Caverns; Brian Settles Sept. 20 at the DC Jazz Jam, at The Brixton; Marianne Solivan Sept. 30 at Blues Alley and the Chick Corea & Bela Fleck Duet Sept. 30 at The Music Center at Strathmore. 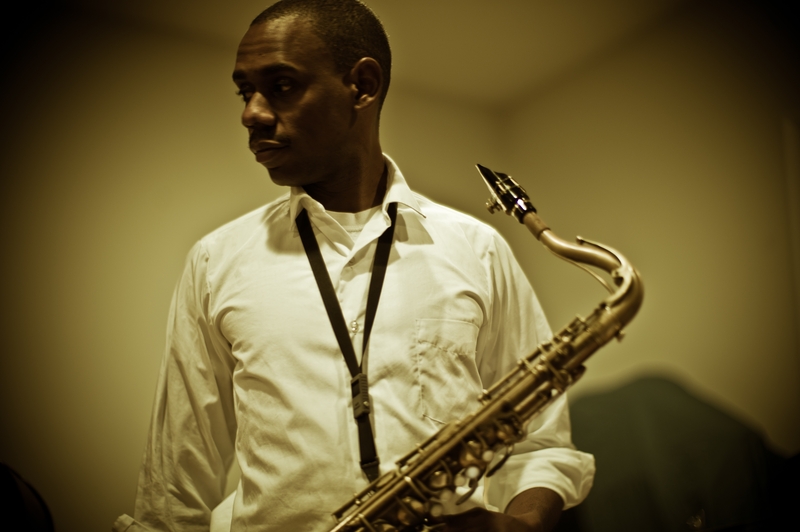 Award-winning saxophonist, composer and educator Carl Grubbs performs with his ensemble at his Annual John Coltrane Celebration Concert at 5 p.m. Sept. 19 at St. Paul’s Schools in Brooklandville, outside of Baltimore. Sept. 19 at St. Paul’s Schools. http://www.instantseats.com/events/contemporaryarts; call 410-944-2909 or 410-821-3047 for more information. Howard said Sundays at JACS, which already had started Wednesday jam sessions, now would see organ groups leading the 6 to 9 p.m. jam sessions. The first Sunday organ session featured multi-instrumentalist Howard on drums, with Craig Briscoe, organ and John Lee, guitar Aug. 16. See http://www.facebook.com/jazzandculturalsociety. In contrast, The Music Outpost – “licensing music on the Sonic Frontier” – focuses on ‘outside’ music and aims to ultimately be THE go-to place for creative media professionals to find music as adventurous as their projects. Cuneiform says it will have a “continually-expanding archive of music-available-for-licensing” that will not only feature music released by Cuneiform, but also music by other experimental, boundary-defying artists. A selection from The Music Outpost’s music archive is currently displayed on its website. 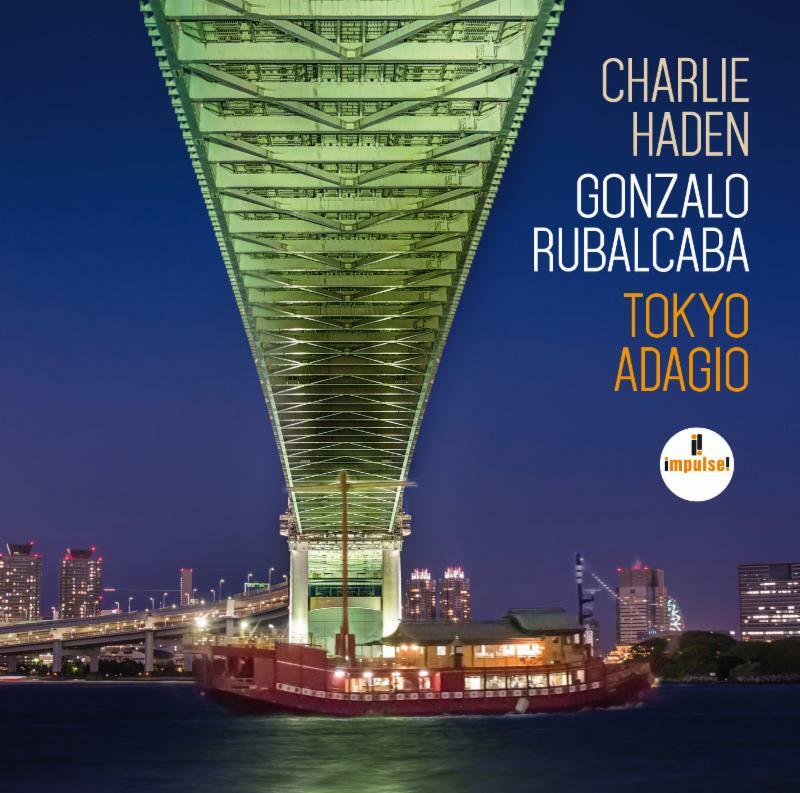 That empathy between two sterling musicians can be heard vividly on “When Will The Blues Leave,” a tune Haden played on the Ornette Coleman 1958 release “Something Else.” With the Cuban keyboard master Rubalcaba Haden is at his walking blues best, with the pianist comping with subtle but distinct lyrical melodicism, the two players then complimenting each other’s flights through the lilting blues, almost as one, building tension, easing it, building it again. See http://www.crossovermeida.com for more information. An acclaimed classical pianist, Lara Downes has nonetheless been a jazz fan since childhood thanks to her father’s jazz albums, in particular those of Billie Holiday. When Downes was eight years old, “she wrote in her diary that her favorite song was Billie Holiday’s I Cover the Waterfront. 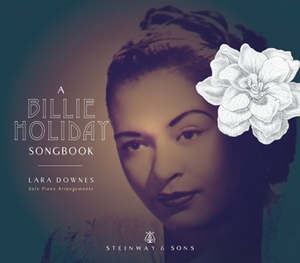 Ever since, says Downes, she has been enthralled with the “distinctive qualities of mood and phrasing, line and color” heard in Holiday’s singing. Downes, who has appeared on the world’s “greatest” concert stages, from Queen Elizabeth Hall London and the Vienna Konzerthaus to Carnegie Hall, the Kennedy Center and Lincoln Center, took a departure from the rigid world of classical structure to make a recording honoring holiday as her influence with “A Billy Holiday Songbook” on the Steinway & Sons label. The result is a pleasantly lyrical album, featuring Downes’ elegant touch on tunes associated with Holiday. In most of the tracks Downes succeeds in capturing the drama, if not the singularity of emotional range of the Holiday performances we have come to love. One certain highlight is the Ralph Rainger/Dorothy Parker tune “I Wished On The Moon.” Here Downes seems to capture the longing and melancholy of a Holiday delivery, as well as the lilting, loving pacing and phrasing she was known for. Another highlight is “I’ll Be Around,” with Downes exhibiting “the complicated but beautiful” quality she says she admired about Holiday. Downes does a decent job on the other familiar Holiday tunes, such as “What a Little Moonlight Can Do,” “Good Morning Heartache,” and “I Cover the Waterfront,” and in sum has made a worthy first try at tackling a jazz recording. See http://www.laradownes.com for more information. 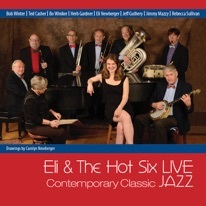 That’s Eli Newberger, accomplished physician and tuba virtuoso, on his “Eli & The Hot Six Live” recording of contemporary classic jazz, released a few months ago, from live performances at the Sherborn Inn in Sherborn, Mass., in 2013 and 2014. In the New Orleans tradition, as well displayed on “Tiger Rag,” of snappy, crisply played jazz, Newberger is ably assisted by Bob Winter of the Boston Pops on piano, Herb Gardner, trombone, Ted Casher, clarinet, saxophones and vocals, Bo Winiker, trumpet, Jimmy Mazzy, banjo and vocals, Jeff Guthery, drums, Rebecca Sullivan, vocals and special guest Randy Reinhart, cornet. See http://www.sueauclairpromostions.com for more information. Debbie Hodnett and Nomadic Jazz welcomes The Bullettes and Friends on Oct. 10 at the Durant Arts Center in Alexandria, Va. “Come witness Washington, D.C.’s premiere all-female jazz ensemble, for a night of new and powerful music,” says the Nomadic Jazz information. ‘This is a CD release event and will feature large and small ensemble works written or arranged by members of the Bullettes,” led by trombonist Shannon Gunn. See http://www.nomadicjazz.com for complete information.